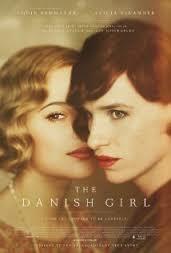 This week - The Danish Girl. Gerda: I need my husband, can you get him? Gerda: I need to talk to my husband, and I need to hold my husband. Can you at least try? Memorable Moment - While Eddie Redmayne did a great job as Lili and Einar (they really were like two separate characters), the thing that I loved about The Danish Girl was Alicia Vikander and her phenomenal performance as Gerda. Not only is Alicia a fantastic actress, I thought Gerda was really the most intriguing character. The essence of the film, in my opinion, is Gerda's strength and love for her husband. It took a lot of bravery for Gerda to accept Einar's transgenderism - especially at a time when very little was known about it. Gerda ensured the love she held for her husband was always a priority. The scene I think is the film's memorable moment is when Gerda comes home to find Lili and expresses that she needs her husband, asking Lili to go get Einar. This is when the cracks start to appear in Gerda's strength and acceptance. I thought this scene was very powerful because it showed that despite her ever-lasting love for her partner, Gerda had needs that weren't being met by Lili. Gerda wanted her husband, but for Lili the person she once was (Einar) was dead and she could no longer be Einar. Lili was unable to meet Gerda's needs, because she had equally important needs of her own - to finally be herself. In a film about the power of love and the lengths we will go to for our significant others, I liked that this scene showed that even in the strongest of marriages, love can only stretch so far.